Spring is almost here! March 20th, here we come! Spring is a time for refreshing our homes and our gardens. 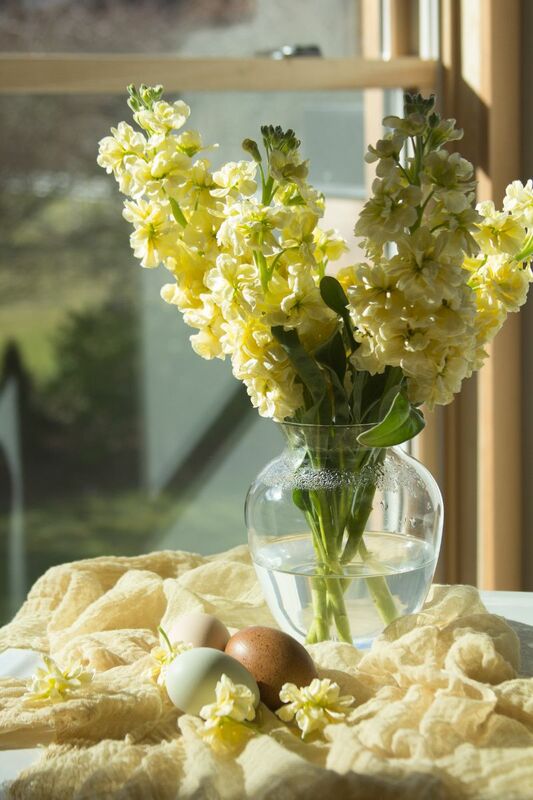 For a quick and easy refresh...add a tray to your coffee table and arrange a few of your favorite gardening books, a small vase of fresh flowers, and a bowl with lemons. This will add a pop of color to your room and your gardening books will be handy in the evening when you want to dream about the outdoors! I'm still chasing the light in the new studio and in our garden as I mentioned in our last newsletter. Learning and watching and practicing!